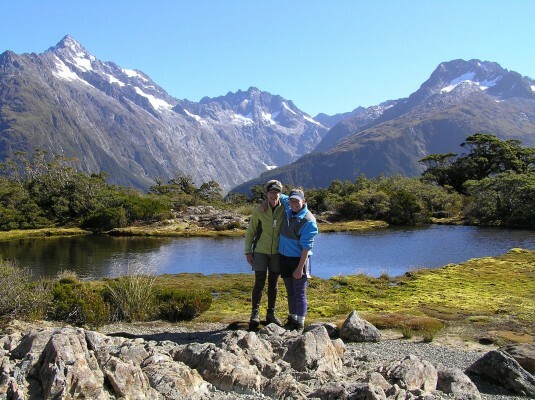 My daughter and I went on a two-week trip to New Zealand in her senior year of high school. She took an extra week of spring-break. Except for a few days in Wellington on the North Island, we spent most of our time on the South Island. It was the time of “The Lord of the Rings” craze and Juliet was a devotee. She even spoke Elvish. So our itinerary included visits to some of the filming locations. From our vehicle, we even saw Peter Jackson’s Oscar sitting on a window sill in his house! We also hiked the three-day Routeburn Track, an exquisite 26-mile hut-to-hut trek that in addition to its beauty, was known for its colossal amount of rainfall, reputedly three to nine feet a year. How lucky we were, then, when we had nary a drop. Another highlight was a two-night home stay on a sheep farm. There was a great deal of land, very hilly and overlooking a large bay. We stayed in the home of the farmer, his wife, and their children. 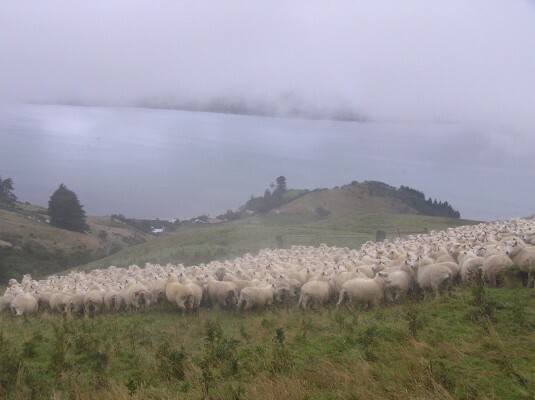 The farm had four thousand sheep and three sheep-herding dogs to manage them. We were given Wellies to wear on our feet. The ground was challenging to navigate due to the undulating landscape and the extraordinary amounts of sticky black mud everywhere. We followed the farmer and the dogs as they directed the sheep from place to place. 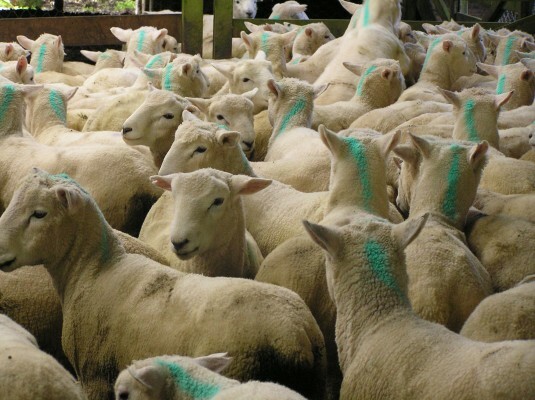 When the farmer was finished with the outdoor sheep chores, he gave the dogs some signals and they expertly corralled the sheep into a huge barn where they were channeled down various chutes and branded with different paint colors depending upon the length of their wool. This, in turn, dictated which sheep were ready to be shorn. This was definitely a new (and memorable) experience for us city-folk!